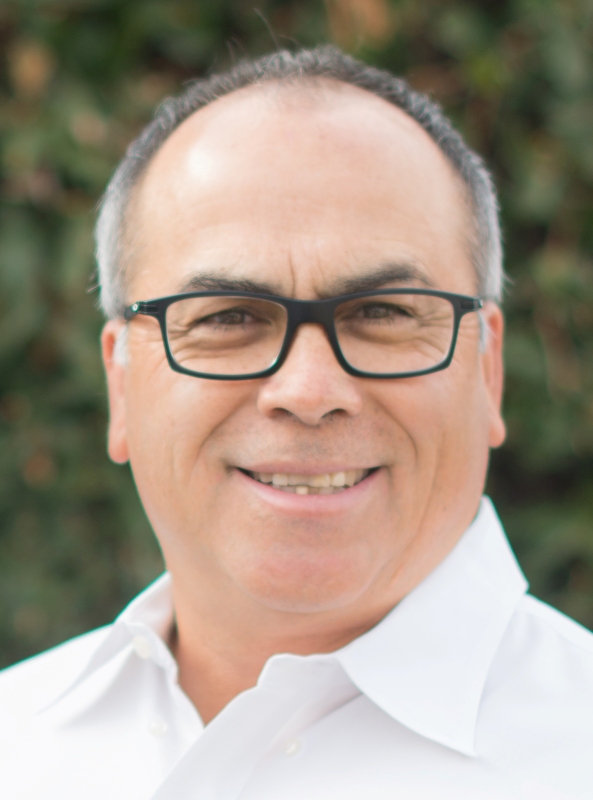 Jeff Gutierrez cannot deny his passion for land…urban planning, civil engineering, and land surveying are vehicles that help to transform land into its highest, best, and most sustainable use. He gets to act upon his passion at one of Bakersfield’s most respected and longest established firms — DeWalt Corporation. Established as Dennis W. DeWalt, Inc. by Dennis DeWalt in 1965, Gutierrez purchased DeWalt’s stock in 2004 after turning a summer job as a survey chainman into a career. “I started at the lowest position, learned all I could and worked my way up the ladder,” Gutierrez says. Gutierrez had an aptitude for mathematics and discovered in engineering and surveying the reward and satisfaction of its practical application. As an entry level surveyor, Gutierrez found himself putting geometry and trigonometry to use on a daily basis. Gutierrez’ enjoyment of his “discovered” occupation made it easy for him to advance at Dennis W. DeWalt, Inc., going from “surveying grunt” to survey party chief to survey department head. Technological improvements in surveying and engineering equipment and software kept Gutierrez interested and passionate about his profession and the development industry. His survey career spans a period in time in which the use of a “chain” gave way to an infrared electronic distance measuring device which gave way to measuring with the help of global positioning satellites (GPS). Today, a surveyor doesn’t have to stand behind a survey theodolite for hours on end to gather measurements…he can get accurate measurements over great distances with astoundingly repeatable and precise accuracy. GPS technology, in particular, “changed everything” in the realm of surveying technique, Gutierrez says. Gutierrez points out that while technology brings about wonderful tools — it is the passion of the professional, to know the principles behind the equipment and understand the limitations and abilities of the technology that ultimately results in reliable efficiency improvements and accuracy strides that push the progress of the profession forward. Concepts and applications that promote sustainable environments, multi-use planning and living arrangements, green developments — bring excitement to Gutierrez and the team at DeWalt Corporation. If there’s a technique, technology, or philosophy trend out there, we want to know about it, learn about it — and analyze how it can benefit our clients. “These concepts, if executed with intelligence and efficiency, create a win-win situation for land developers and the communities they improve,” he said. DeWalt Corporation’s reputation for reliability further ensures its adaptability to these changes. It’s the company’s goal to vet out only those modern approaches to the engineering of a project that makes good logical, fiscal and holistic sense. Varying from traditional and proven engineering principals should only be considered with much thought and educated deliberation according to Gutierrez. Just another reason DeWalt Corporation, some 45 years later, remains a leader amongst the engineering and surveying professional in the Southern San Joaquin Valley. It’s also why Gutierrez is so dedicated to the company.